Sunscreen is one of the best means of protection when having some fun at the great outdoors. But choosing the right sunscreen could be a difficult task when you have to select from among hundreds. Don’t worry, we’ll help you out. Here’s everything you need to know about sunscreen. 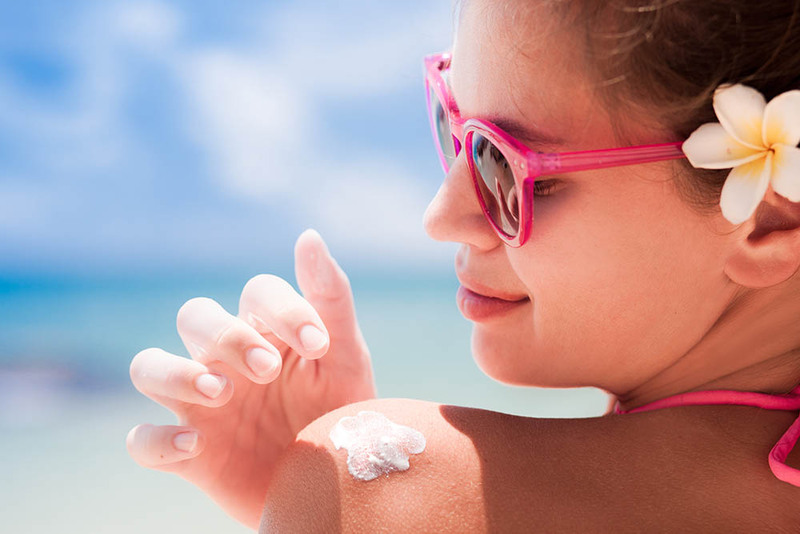 Sunscreens, sometimes referred to as sunblock or suntan lotion, are chemical agents that contain several ingredients to help prevent damage to the skin by creating a barrier, preventing the sun’s ultraviolet (UV) radiation from reaching the skin. There are two types of UV radiation that damage the skin, namely UVA and UVB, which ages the skin prematurely and increases your risk of cancer. They are considered over-the-counter drugs and are regulated by the US Food and Drug Administration (FDA). They can only be referred to as broad spectrum if they protect against both types of UV rays, according to FDA regulations. Sunscreens are labeled with a number that corresponds to the amount of protection they give, called the sun protection factor (SPF). The higher the SPF rating means the higher amount of skin protection they provide. They block UVB rays from entering the skin and prevent the damage. The protection given, however, is not linear. SPF 15 blocks 93% of UVB rays while SPF 30 blocks 97% of UVB. SPF 50 blocks 98% UVB. This means that getting significantly greater amounts of SPF does not lead so significantly greater amounts of protection, as manufacturers would have you believe. Dermatologists actually only recommend that you get at least SPF 15 to 30 and only as high as 50. Anything higher than 50 can only lead you to pay a lot more for something not so significant. Are Lotions Better Than Sprays? They are, indeed, better since they are easily applied on the skin in generous amounts and evenly. Sprays are inconsistent and they also run the risk of inhalataion. The type of sunscreen to be used depends on the amount of sun exposure you’re about to be getting. But it is always recommended that sunscreens that offer broad spectrum protection be used as they provide protection against UVA and UVB. It also depends on the type of activity you want to do. For instance, if you plan to go swimming in Lake Hamilton or hiking around Hot Springs National Forest, then it is best that you get high SPF, water-resistant sunscreen. These will hold together on your skin, which prevents them from dripping on your eyes. If you’re planning on strolling around Hot Springs, with only minor exposure to the sun, then a lotion with SPF 15 would suffice. How Much Should Be Used and How Often? Experts recommend that that for a minimum of SPF 15, the proper amount of sunblock for optimum protection is 2 mg per cm2 of skin (approximately 1 ounce to cover entire body). It is also recommended to reapply sunscreen every 2 hours.